For the past five years, criminal-defense attorneys in Utah have shared information about police officers' misconduct. It's been an ad-hoc approach, shooting an e-mail to a mailing list alerting attorneys of—and asking for anecdotal information about—a cop who, for instance, "was fudging on [testimony relating to] a DUI stop, or maybe he testified falsely in court," says Kent Hart. Hart is the executive director of the Utah Association of Criminal Defense Lawyers [UACDL]. In less than a year's time, he anticipates that his association's members will have a far more effective tool for challenging the credibility of law enforcement officers in the courts: a database of police misconduct. 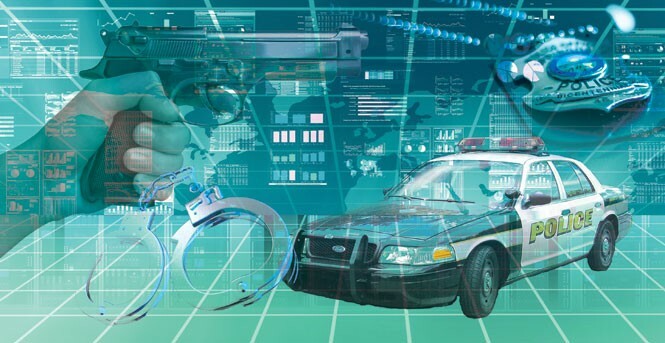 The database is being developed using open-source software in the "cloud"—which will allow UACDL's 450 members to access and share information they gather about potential "bad apples" among Utah's law-enforcement ranks. That information could include police-discipline records, court filings and transcripts, and attorney's commentaries. The initiative could be a significant game-changer in leveling the playing field between under-resourced defense counsel and law enforcement and prosecutors. While concerns over defamation, client confidentiality and privacy may make the database a complex project to steer to completion, gathering what local attorney Aaron Tarin calls "counter-intelligence" about law enforcement could bring greater accountability to police work, say advocates for the database initiative. Hart says what prompted the decision to create a collaborative database was because the state—in terms of both prosecutors and law enforcement—does not fulfill its constitutional obligations in a sufficiently systematic manner to provide defense attorneys with what's known as Brady-Giglio material. Ian Adams, spokesman for the Fraternal Order of Police, which represents the interests of 2,500 Utah cops, defines Brady-Giglio material as "information that is exculpatory in nature, or crimes of moral turpitude, thefts, perjury—something that calls into question an officer's ability to give truthful testimony." Prosecutors are supposed to provide such material to defense counsel—assuming there are procedures in place for law enforcement to pass it to them—in order to address the honesty of a government witness before a judge or jury. Several defense attorneys whom City Weekly spoke to expressed frustration that some prosecutors routinely do not provide Brady-Giglio material. "The rule applies to everyone, but in terms of compliance, it's variable depending on the prosecutor and the office," says Utah Legal Clinic attorney Stewart Gollan. According to Hart, there has been no effort as yet by the state to consistently provide Brady-Giglio material to defense attorneys. "You would think because the state has a constitutional duty to do this, they would have set up some kind of formalized system in this electronic age—in essence, a central clearinghouse for cops who have committed misconduct, lied on the stand or have been disciplined," Hart says. "But they haven't." With no mechanism in place to hold either law enforcement's or prosecutors' feet to the fire when it comes to communicating on Brady-Giglio issues, and since most cases are resolved in plea deals rather than going to trial, any information that might emerge about an officer during the discovery process often languishes in defense attorneys' case files, unless they decide to alert the Utah State Bar Association. "We're relying on word of mouth [among defense attorneys]," Hart says. "That's all we have." FOP spokesman Adams says his organization would love to work with the UACDL on the database. "We think it should be legislatively implemented [so] that all officers of the court, anybody who is sworn to uphold the legal system," be they bailiffs, prosecutors, judges or defense lawyers, should be included in such a collection of data, he says. "If it's frankly just trolling Google or Westlaw [an online fee-based legal research service] for all the times a person has been named as defendant, with criminal-defense attorneys as the sole proprietor and enterer of information, we think that just makes it a useless database," he says. "Useful information comes from trying evidence put in front of a jury." Davis County attorney Troy Rawlings says his office has an obligation to provide Brady-Giglio material to defense attorneys, and he hopes the UACDL will reciprocate and share the database with prosecutors: "It might impact our decisions as prosecutors in terms of how we go forward on cases," he says. But, Rawlings says, policies and procedures will need to be in place to ensure private or protected records such as medical-treatment histories are not released. "In the execution, they will have to be very careful what information they put up," he says. One veteran officer who spoke on condition of anonymity because he did not have permission from his superiors to talk to the media, felt such a database would not be an issue for law enforcement. "Ninety-nine percent of cops don't have a problem with body-cams or this database at all." However, he continues, "my concerns would be in this day and age of rumor and innuendo, of Internet trolls and chair-born rangers, it has to be proven that this cop is a screw-up." Salt Lake County District Attorney Sim Gill agrees, noting that information from the public domain of officers who perjured themselves is one thing. Suspicions, he says, are another. "It cannot be a data set of gossip. It should be verifiable, not innuendo and rumor," Gill says. New technology in the form of open source software allows UACDL to build the password-protected database very cheaply. "The open-source cloud software makes it available in a secure manner, so attorneys can contribute and shepherd the project on," attorney Tarin says. Some aspects of the database may be made publicly available down the line, he says. Some attorneys argue databases such as this one will force law enforcement to put greater emphasis on discipline. However, the veteran cop says, "I see a lot of stuff in terms of punishment being done verbally instead of in writing if they build this kind of database." The cop says that, in trials, defense attorneys try to bring up officers' policy violations that have nothing to do with their credibility—infractions such as failure to wash their patrol cars once per week—and then try to use such information to impeach cops on the stand. "It has to be based on pertinent facts, something that goes to the cop's veracity," he says. Tarin sees the database as ultimately a response to the U.S. government's technological might. "Not only will technology improve legal services by making them cheaper and more efficient, it will also be providing a critical balancing effect against the technological prowess of our government," he says. Defense attorneys don't have the resources to match the state: "We don't have the money to build a $1.2 billion National Security Agency [Data Center] at the Point of the Mountain," he says, "but we can by banding together." This is the first of a series of articles on the impact of technology on the law and society.